Imagine a world where it is possible to accurately predict the weather, climate, storms, tsunami and other computational intensive problems in real time from your laptop or even mobile phone – if one has access to a supercomputer then to be able to predict at unprecedented scales/detail. 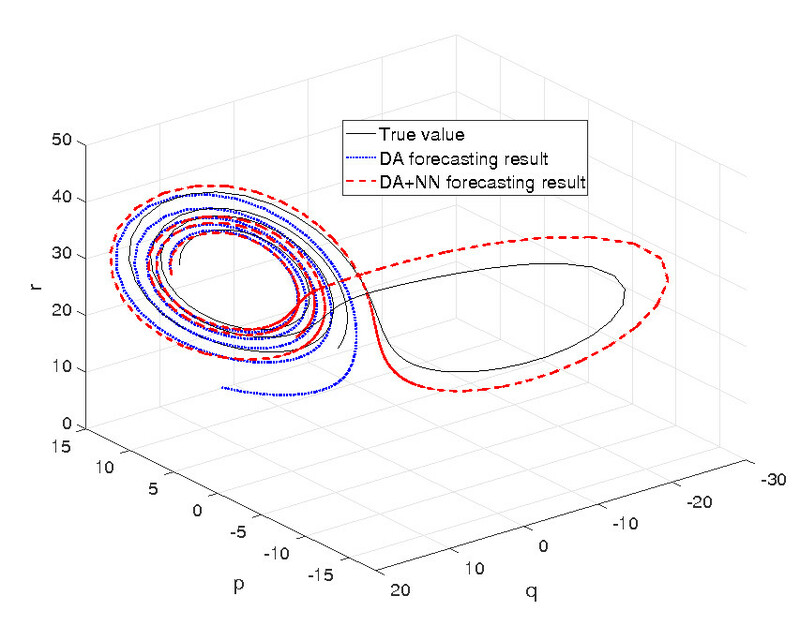 This is the long term aim of our work on Data Assimilation with Machine Learning at the Data Science Institute (Imperial College London, UK) and as such, we believe, it will be a key component of future Numerical Forecasting systems. We proved that the integration of machine learning with Data assimilation can increase the reliability of prediction, reducing errors by including information with an actual physical meaning from observed data. The resulting cohesion of machine learning and data assimilation is then blended in a future generation of fast and more accurate predictive models. This integration is based on the idea of using machine learning to learn the past experiences of an assimilation process. This follows the principle of Bayesian approach. Edward Norton Lorenz stated “small causes can have larger effects”, the so called butterfly effect. Imagine a world where it is possible to catch “small causes” in real time and predict effects in real time as well. To know to act! A world where science works with continuously learning from observation.